This lovely painted bed headboard was designed to compliment the painted wardrobe (shown below, see page in wardrobes section). The painting was inspired by an original French piece from the 1930's. 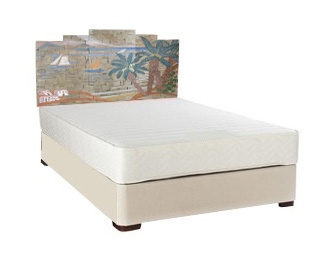 Somehow it really captures the feel of a sunny day on the French Riviera, with Cubist detailing in the paintwork. 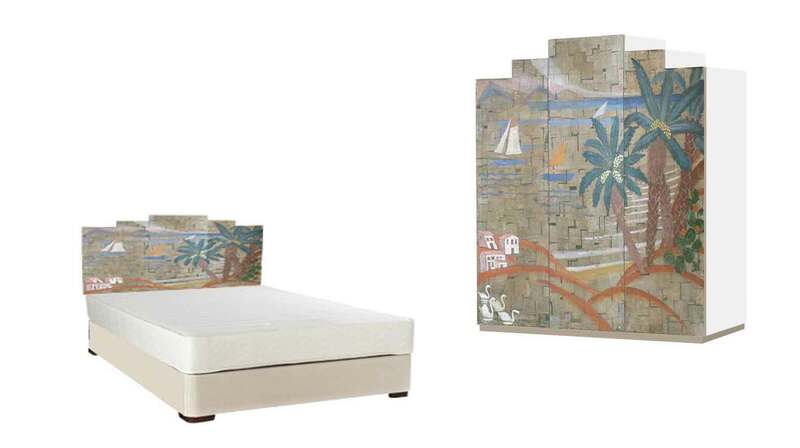 The headboard is basically just a large canvas to show the design. Made to order. These designs have been registered now, & may not be reproduced without our written consent. All rights reserved. Deco bed page Contact Us for a quote or more information.